Saturday November 29th at 7pm the Rainmen are playing PEI’s Island Storm at the Scotiabank Centre. The night is billed as the Mayor Savage End Hunger Game. The Rainmen and FeedNS are asking that spectators also bring a non perishable food item to be donated at the entrances to the gates. 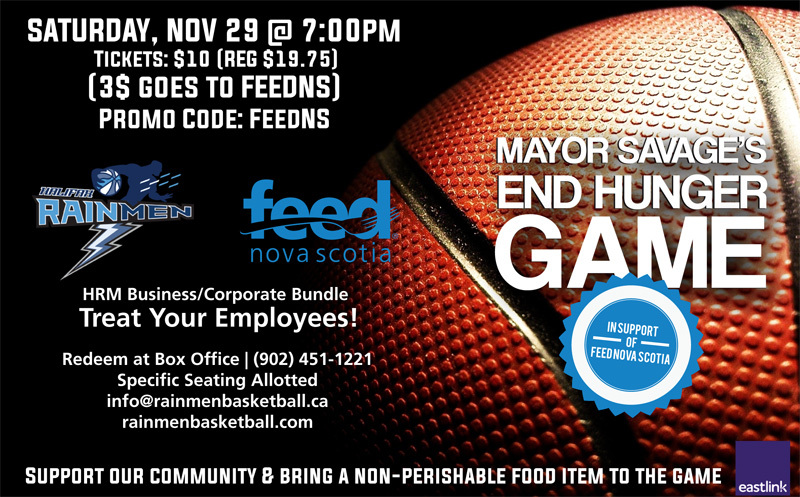 Please come and help Mayor Savage and the Rainmen support FeedNS!